Top quality cricket stumps set. The set includes 6 durable wooded stumps and bails. The wickets are colored in yellow and are great for shorter version of the games played with using colored uniforms. The yellow colored cricket wooded stumps and bails are ideal for all shorter version of cricket games. The wickets are made of high quality polished wood and comes with a durable carrying bag. The set is complete with six stumps and bails set and can be used on both ends of the cricket pitch. 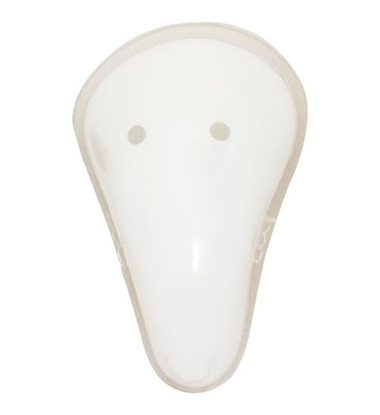 Provides protection to groin area, an absolute necessity when playing with regulation cricket ball. Be smart don't get hurt!! Arm Guard by SS Sunridges. These beautifully designed Arm Guard provides extra protection to the forearm. Model 2015-2016. Gunn and Moore have improved on last years ranges innovating and utilizing the latest technological advances to increase your protection without sacrificing performance and comfort. 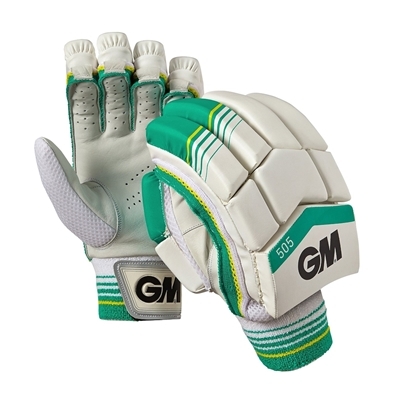 Using combinations of traditional and modern methods and materials GM have a Batting glove to suit every cricketer, from Aspiring Junior to International Test player such as England and Yorkshire's Joe Root. 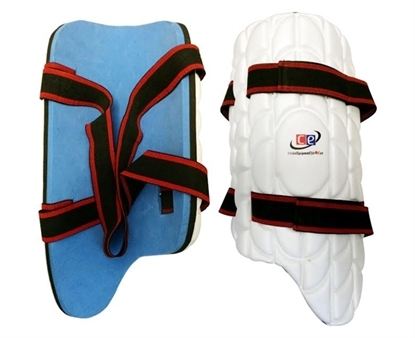 These beautifully designed Thigh Guards by Cricket Equipment USA provides much needed extra protection to front leg. Cricket Stumps with springs which returns the stumps back to original position after the strike. The spring return wickets comes with a set a bails with 3 stumps on a heavy metal base. High quality cricket stumps set. The set contains 6 strong wooded stumps and bails.